Taipei Station, also called Taipei Railway Station (台北火車站, by the Taiwan Railway Administration) or Taipei Main Station (by the Taipei Metro), refers to the old downtown region in Taipei, Taiwan, where different modes of public transport systems converge; the station is at the center of this region. Prior to the opening of the Taipei Metro lines at the station in 1997, the region was simply known as "Taipei Station" or "Taipei Railway Station". The station handles over half a million passengers daily on conventional rail, metro, and high-speed rail. Taipei Station and its surroundings are currently undergoing intensive renovation and redevelopment. Projects include the construction of the Taoyuan Airport MRT System (slated to begin service by 2013) and the Gate of Taipei. 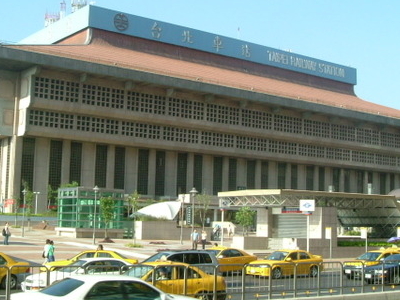 The station itself is a large building which houses multiple rail services as well as serving as the headquarters of the Taiwan Railway Administration. The railway platforms are located on the B2 level, while the B1 level serves as a waiting area. Ticketing services are on the first floor while the second floor contains a food court and several stores, including the shopping center (Breeze Taipei Station). The upper levels are occupied by TRA offices. 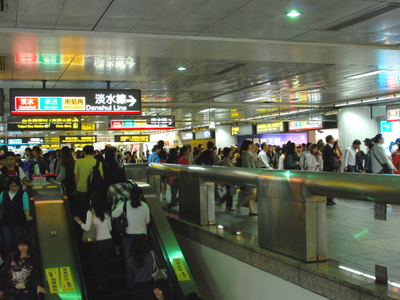 Here's the our members favorite photos of "Railway Stations near Zhongzheng". 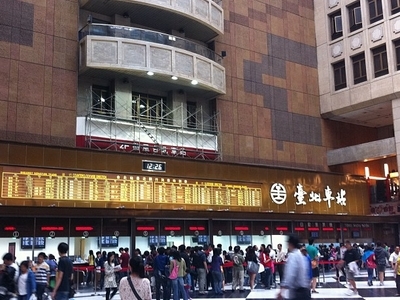 Upload your photo of Taipei Railway Station!